Local Kitsap Peninsula author Ronald Lamont will be reading from and signing copies of his new mystery novel “Fate’s Intervention” on Wednesday, August 29 at 7:00 PM. 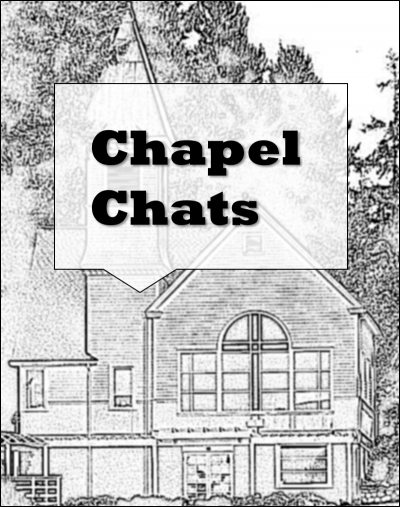 The novel takes place in Gig Harbor, including portions that occur at the Chapel on Echo Bay! This is a charity event. Ron pre-purchased the copies from his publisher and 100% of the book purchase donations will be going to the Chapel Preservation Society. Ron will also have a few copies of his other novels on hand: “Smoke and Mirrors” - a mystery that takes place in a fictionalized-version of Kitsap County; and “Risen From The Depths” – a U.S. Navy / NCIS themed mystery that takes place in San Diego. His breaths ran rapid, his heart raced; his hands shook… reliving the events of the afternoon. Rejection is a terrible thing; it can drive you to become a version of yourself that you never knew existed… to taking actions you never would have imagined. When faced with life’s harsh realities… with, what feels to be, a fate worse than death… how do you manage? How do you cope? Or do you? The Chapel board will serve beverages. Members are invited to bring an appetizer or dessert to share (optional).